The River Tamar forms almost the whole of the Cornwall/Devon border. The source is under 4 miles from North Cornwall’s Atlantic coast, and for 61 miles it flows in a southerly direction towards Plymouth Sound, in effect almost making Cornwall an island and cutting off the county from the rest of England. 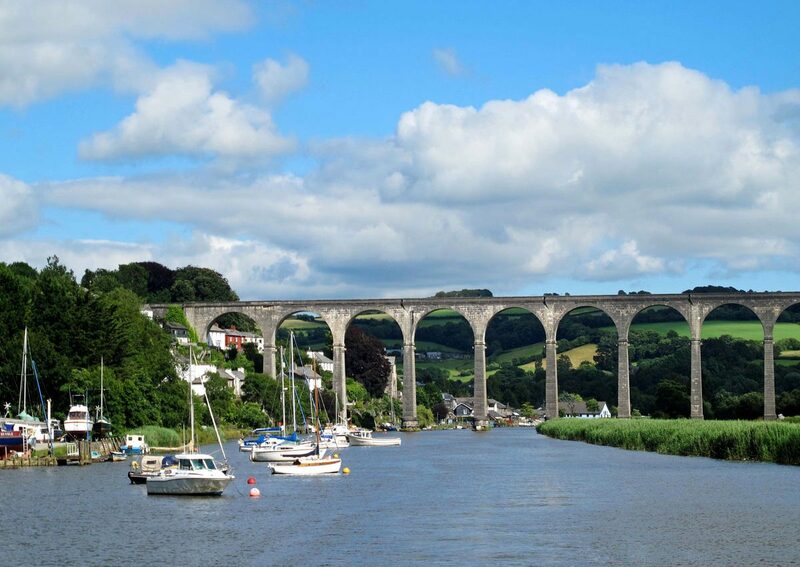 This combination of industrial heritage and natural beauty is what gives the Tamar Valley its special appeal, and there’s nowhere better to enjoy it than the area around Calstock. The best way to reach Calstock in my opinion is to take a boat trip up the Tamar from Plymouth, but that’s not always possible, so the second best option has to be the train from Plymouth along the branch line to Gunnislake. If you take the first option, you’ll travel under the Calstock viaduct, and if you take the second one, you’ll travel over it. Either way, you won’t be able to ignore Calstock’s main feature. The village is built on the banks of the river, and to be honest isn’t very big, but it’s not the size that counts, but the location. There’s not an awful lot to see in the village itself, but a one and a half mile walk along the riverbank leads to the Cotehele Estate, which in my opinion is an absolute gem. There used to be a ferry service that ran between the village and Cotehele, but has, unfortunately, recently ceased operating, which I think is a great pity, as not everybody will be able to manage the steep climb up the riverbank at Cotehele. The Cotehele Estate is managed by the National Trust and there are several areas of interest which demand more scrutiny, and so I’m including some separate posts with more information.